Subang, March 27th – Three more Memoranda of Understanding (MoUs) were signed between the State Government of Selangor, and the Government of Taipei, with the focus of the agreements on Smart City collaborations, clean transportation, and startup environment incubation and acceleration. These MoUs mark “another milestone in the long history of cooperation and trade between Taipei and Selangor”, according to YAB Dato’ Seri Azmin Ali, Chief Minister of Selangor, when addressing attendees today. YAB Dato’ Seri Azmin Ali, Selangor Chief Minister, addresses the audience. “I would like to stress that because of the years of cooperation and collaboration between Taiwan and Selangor, a very strong bond of mutual trust has developed. That is why it is of paramount importance that we continue to promote people-to-people relations through increased cultural and social exchanges,” added the chief minister. Other guests in attendance included Dr Ko Wen-Je, Mayor of Taipei City, who led the Taiwanese delegation; Mr Lin Chin-Rong, Deputy Mayor of Taipei, His Excellency James Chang Chi-Ping, representative of the Taipei Economic and Cultural Office; Mr Lin Chung-Chieh, Commissioner of the Taipei City Department of Economic Development; YB Dato’ Teng Chang Khim, Chairman of the Investment, Industry (SME), Commerce and Transportation Committee and Senior Councillor of the Selangor State Executive Council, as well as other members of the Selangor State Executive Council. 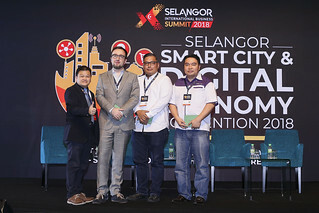 Also present were YM Raja Shahreen Raja Othman, CEO of Menteri Besar Incorporated (MBI), and Mr Yong Kai Ping, chief executive of the Selangor Information Technology and E-Commerce Council (SITEC) and the Selangor Digital Creative Centre (SDCC). “We hope that through innovative and entrepreneurial exchanges we can fan the spark of creativity and foster a new force in economic development. We hope that through signing this MOU, we can create a solid foundation for future bilateral cooperation,” said Dr Ko during his address. Dr Ko Wen-Je, Mayor of Taipei, addressing the audience. Taiwan stands as one of the top 5 foreign investors in the state of Selangor, having invested more than RM4.2 billion to-date in the Malaysian state alone. At the same time, Malaysia is also ranked among the top export markets for Taiwan. “We should not subject ourselves to unnecessary self-imposed consideration and restraints in the economic development and cooperation. 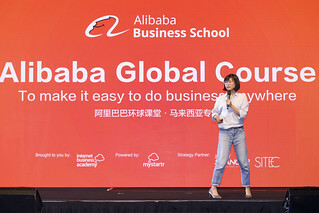 Only the bold and innovative will survive and succeed in today’s world,” said Teng during his speech, expressing his hopes that both the government and private sectors in both regions will adopt a more innovative, bold and forward-looking approach than what is available today. YB Dato’ Teng Chang Khim, Selangor State Executive Council member and Chairman of the Standing Committees for Investment, Industry & Commerce, Small & Medium Enterprise (SME) and Transportation, during his address at the event. Commenting on the collaboration, MBI CEO, YM Raja Shahreen said that dynamic collaborations such as these hold the key to success, especially in bringing about vast potential of a smart state. “We welcome such collaborations as they help promote brisk growth. Technology enables a host of new products and services and we are going to see whole new industries arise and new waves of innovation creating a new ecosystem in Selangor. Therefore, in supporting the business community, there is a need to ensure that businesses, notably startups, are well-equipped to exploit opportunities and explore pockets of growth in these vibrant new-end markets that promise lucrative returns,” he said. The first MoU, which focused on Smart Transportation, was signed between YB Dato’ Teng Chang Khim, Senior Executive Councilor of Selangor State (Chairman of Standing Committees for Investment, Industry & Commerce, Small & Medium Enterprise (SME) and Transportation), and Dr. Lin Chin-Rong, Deputy Mayor of Taipei City. This involves technique sharing and mutual visits of a public bike-sharing system (called Youbike in Taipei), as well as knowledge and experience-sharing agreements for promoting the development of a transportation-sharing system. The second MoU, which focused on Smart City policies, solutions, and their implementation, was signed between YM Raja Shahreen bin Raja Othman, CEO, MBI Selangor/Programme Director of Smart Selangor Delivery Unit (SSDU) and Dr. Lee Wei Bin, Commissioner of Information and Technology Department, Taipei City Government, where both parties will share knowledge and experience, foster talents and industry developments through activities, and agree to initiate discussions to promote collaboration and cooperation in the implementation of programmes. The agreement includes an understanding that both parties will establish a platform for concrete discussions as soon as possible, but bound under a non-disclosure agreement. 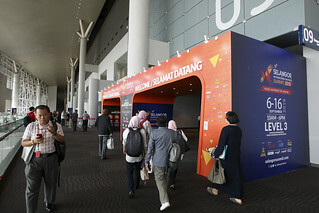 The third MoU, which focused on developing startups, was signed between Yong Kai Ping, Chief Executive of the Selangor Information Technology and E-Commerce Council (SITEC) & the Selangor Digital Creative Centre (SDCC); and Lin Chung-Chieh, the Commissioner of the Department of Economic Development of Taipei City; both representing their respective governments. This MoU involves the provision of information to innovative startups, and the facilitation of enterprises and entrepreneurs entering each other’s markets. Also involved are subsidy-funding and incentives, and the recommendation of startup teams to locate to their related business incubators, with industrial, academic, research-related organisations and other networks introduced to promote interdisciplinary cooperation opportunities.